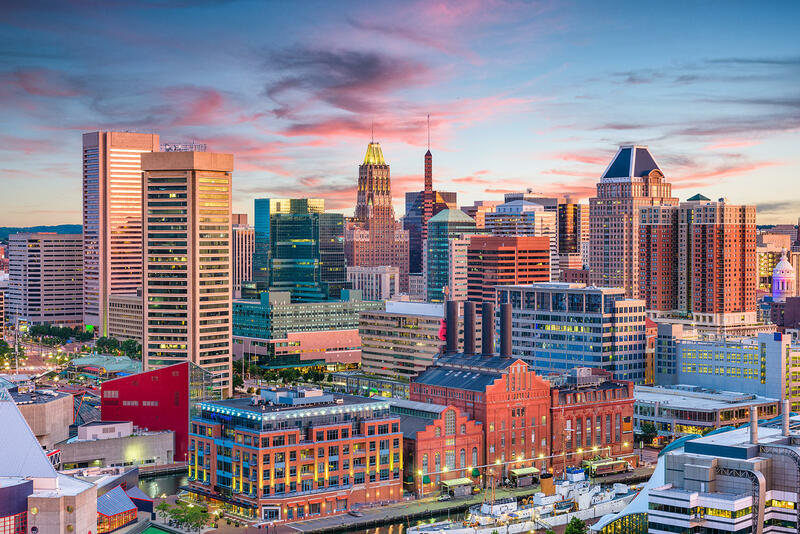 Whether you are new to the Baltimore tech scene or a seasoned professional, navigating the landscape comes with it's own set of challenges, successes, and learning experiences. We invite you to join us for a Brunch & Learn event that includes both a panel discussion and the opportunity to chat with industry leaders during our mentor round tables. Hear empowering stories, learn about overcoming obstacles, get sound advice, and get your roadmap to tech in Baltimore. Sabrina is a Haitian-American brand strategist, connector, and marketer who has created and applied a combination of marketing campaigns, events, and best practices that lead to client growth, community engagement, and retention working with organizations like the Miami HEAT and lululemon. Jess is the CEO & Founder of Allovue, an education technology company that empowers K-12 educators to strategically and equitably allocate financial resources. Jess has raised $9 million in venture capital for Allovue. She loves mentoring female founders and is a staunch advocate for diversity and inclusion. Kelsey is a problem-solver, story teller, and human centered designer with the goal to make a more sustainable, equitable, and just community. Kelsey works with Fearless to design civic technology software for governments and other organizations. She also leads Code for Baltimore. Brittany is Baltimore native and an engineer by trade; she has programmed nuclear & power plants, manufactured products, developed medical devices, and planned satellite explorations, but finds the most satisfaction in her roles in STEM education, mentoring and overall service to her community. Shervonne is an innovative and driven entrepreneurial ecosystem builder, who utilizes collaborative community building, design thinking, and startup advocacy to provide unique solutions for organizations. She is also the co-organizer of Baltimore Women in Tech. Jessica is a Brand and Communications Strategist who partners with CEO’s, executives and entrepreneurs to transform them from where they are into where they want to be. She is also the co-organizer of Baltimore Women in Tech. Gretchen is a passionate advocate for ethnic and gender diversity in tech, and her work over the past 15+ years in the non-profit and human services sector has focused on education, workforce development, and poverty alleviation. Takia is your "Good Good Girlfriend" that has a proven track record of crafting the perfect pitch that will get your business funded. She utilized the non traditional method of business plan/pitch competitions to raise over $65,000 for her business and she has made it her mission to help other women do the same. Margaret is the Chief Customer Experience Officer and Co-Founder of Yet Analytics. Working at the intersection of data, learning, and human capital at Yet Analytics, reading sci-fi in between hiking with my dog, still going to JHU lacrosse games, and trying to be here now. Angelique leads a team of five building the next generation of online fundraising tools for artists and arts organizations. She is passionate about designing successful user experiences and collects DIY hobbies, like making homemade yoghurt and spinning her own yarn. Panel: "What I Wish I Had Known About Tech in Baltimore"